We would like to offer you a bag that reflects lights off of traffics, streets, or lights of any form, to conserve and reuse energy around us. When you ride through a dark alley, a busy street, or even under unpleasant weather conditions, this is the bag that you use. 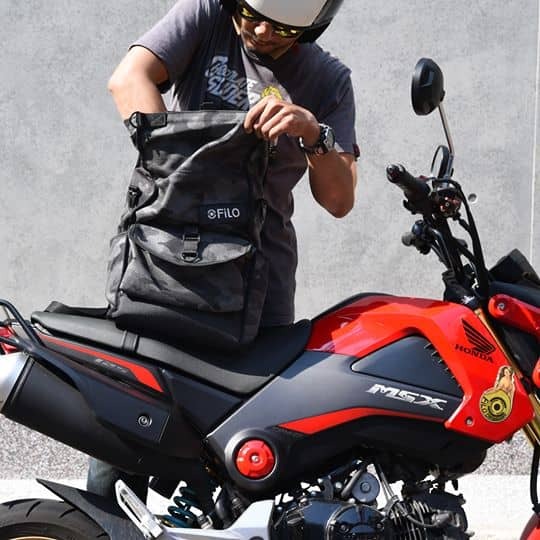 “We designed this bag with rider-safety in mind”. 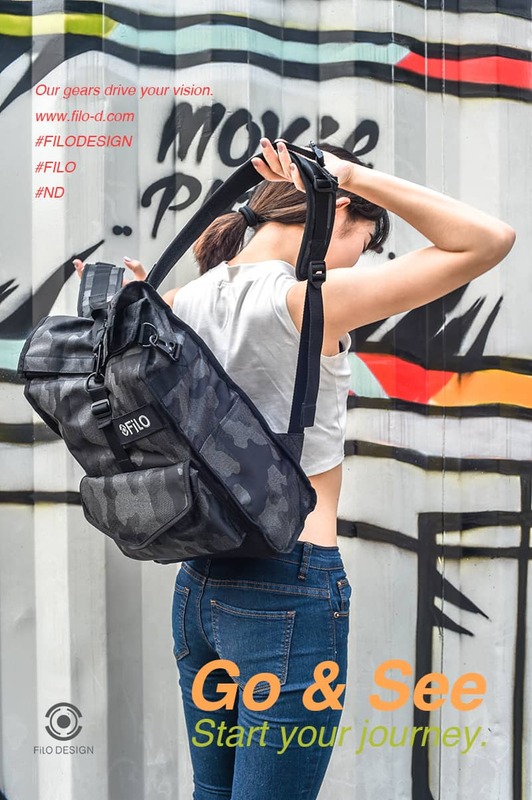 This bag is coated with reflective ink and water-resistant layers, and with its 20L interior space, and three interior pockets, you have plenty of room to fill and organize your daily supplies and more. Part of the FILO Summer 2016 carry goods range. 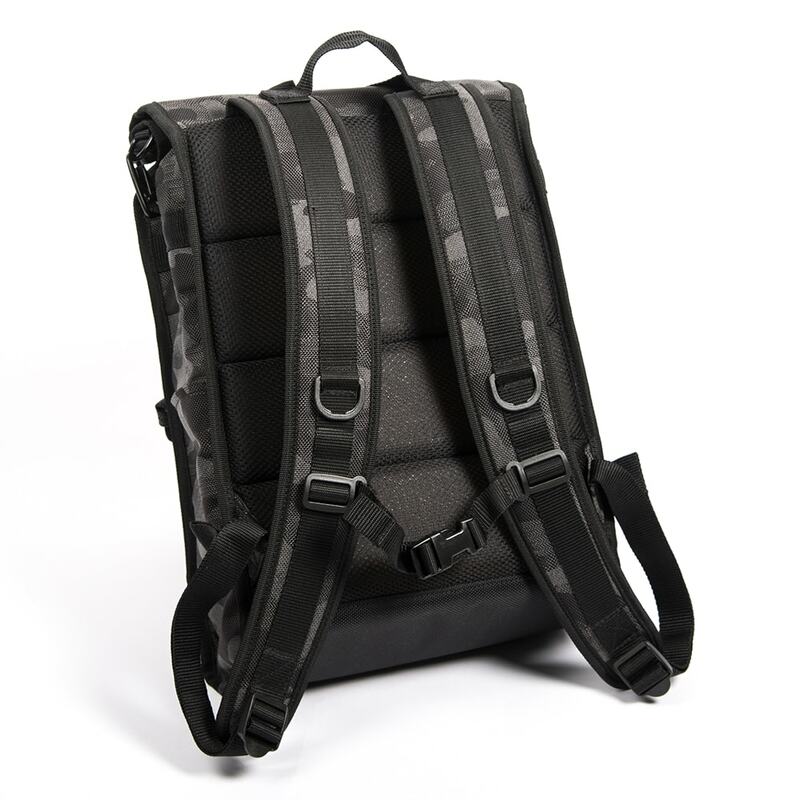 This backpack features a front straps with gun hook, two single side pouch, internal laptop sleeve, front panel high-attached Velcro pocket, with 100% 1680D lightweight Nylon fabrication. Designed and tested at the FILO workshop. 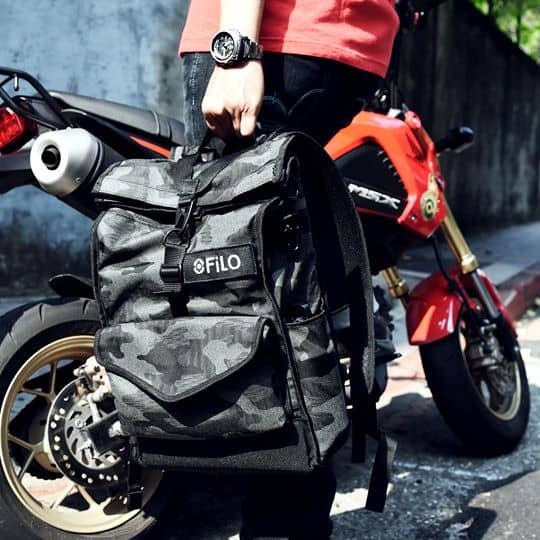 Our signature N1D (Nylon Day pack) is perfect for carrying your daily essentials. Made out of premium black 1680D nylon with water-resistant coating,,. 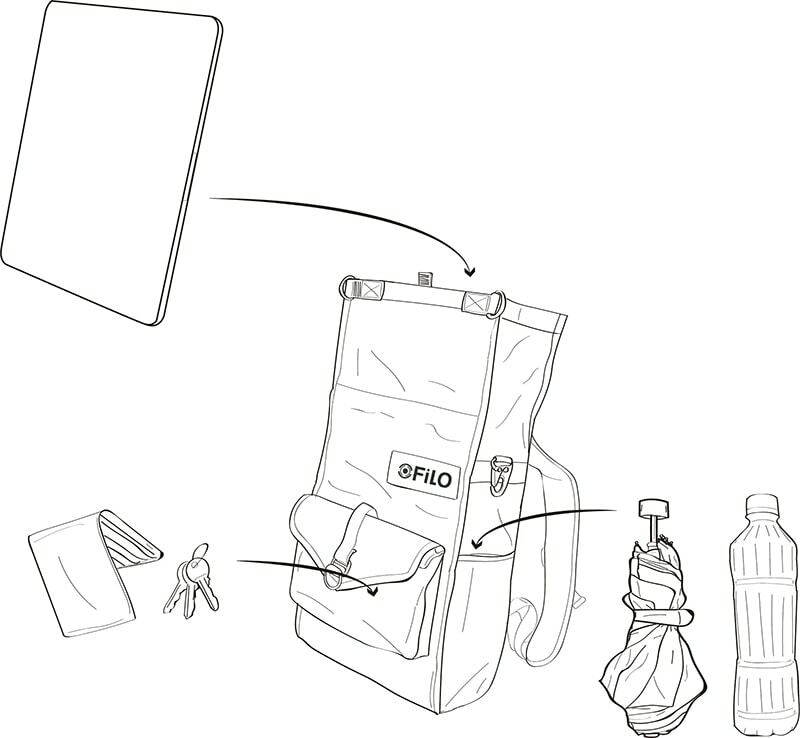 The interior of this bag features a computer compartment sleeve that fits up to a 15” laptop, a water-resistant yellow nylon pocket (fits an iPad) and is equipped with smaller pockets designed to carry a pocket size Moleskine sketchbook + pens, business cards and a lighter. The foam padded nylon and back panel a keeps you secure along the ride. 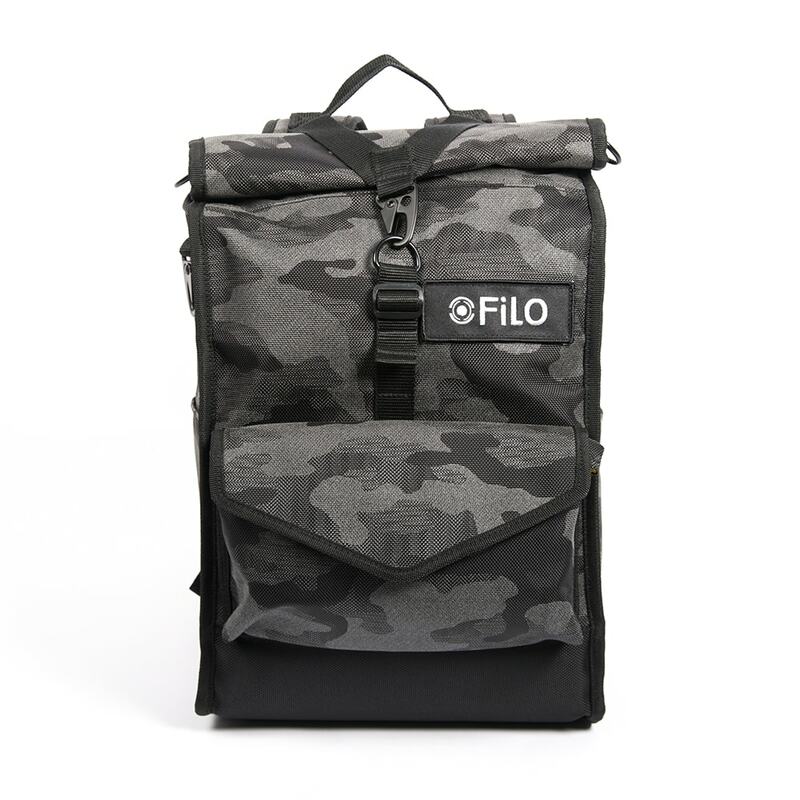 Roll top backpack from FILO. 18 Litre capacity. 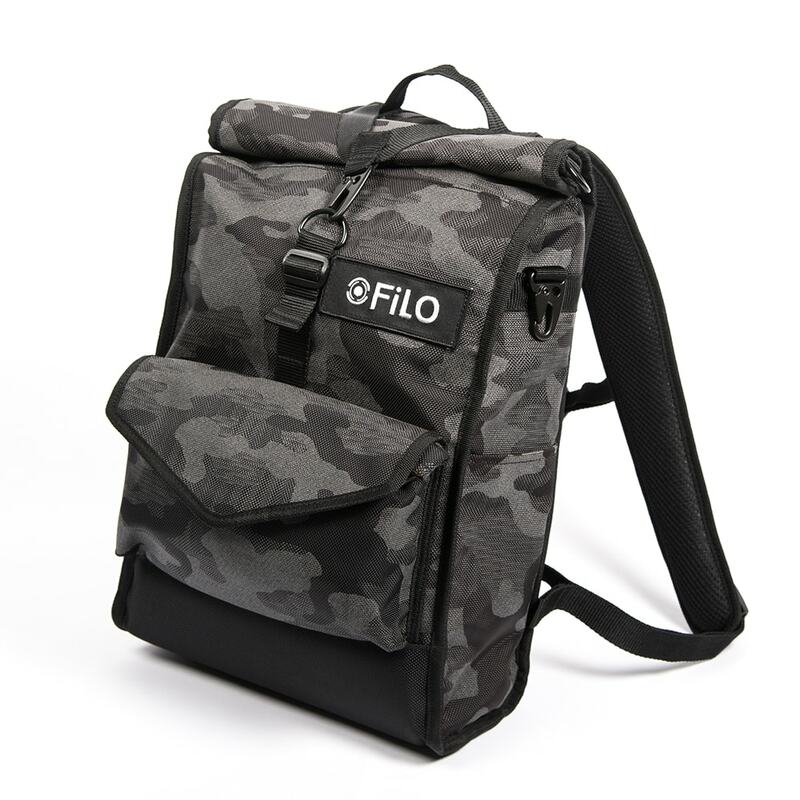 Nylon in a top-loading silhouette features a spacious main compartment with an inner 15" laptop sleeve and pockets. Gun-hooks on the two side secure the roll top closure shut; padded shoulder straps adjust for a comfortable carry. Complete with a woven logo tag at the front.